i95Dev is proud to announce its release of the Hosted RMS Solution. This latest development is meant to help you reduce the amount of labor it takes to maintain Magento and Dynamics RMS independently. This will help your business reduce its costs and increase profits at the same time. Users can create their own customized theme and use their own plug-ins to make the Hosted RMS Solution exactly what their business needs. Our developers ensured this solution would support all Magento customizations. 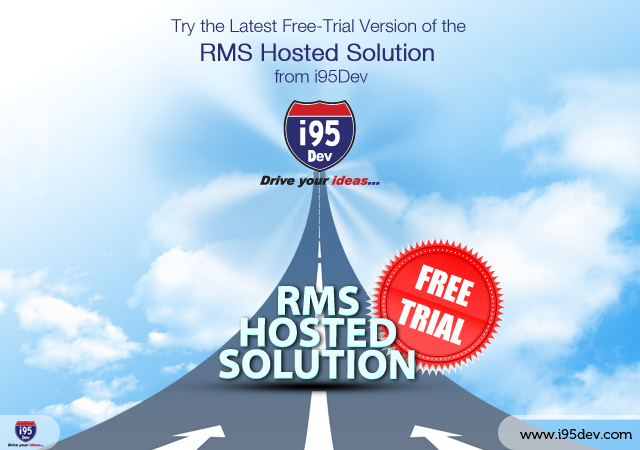 For a limited time, i95Dev is offering a free trial of the Hosted RMS Solution so you can see how it will benefit your business. You will experience real-time integration of Magento with Dynamics RMS, allowing you to not only decrease labor usage but also any delays in order processing and the labor involved in processing an order. With automatically updated inventory, you will eliminate back orders and any other complications managing two systems involve. Overall, you will realize increased customer satisfaction, productivity and profits along with decreased labor usage. This Software will work for 15 days. i95Dev will provide the Hosted Magento login details by Email. Any Orders/Customers Placed on this Hosted Magento will be send to RMS in Real Time. To learn more about how our free trial version of the Hosted RMS Solution can help your business, visit product page or contact the i95Dev professionals at 1-301-760-7499 .